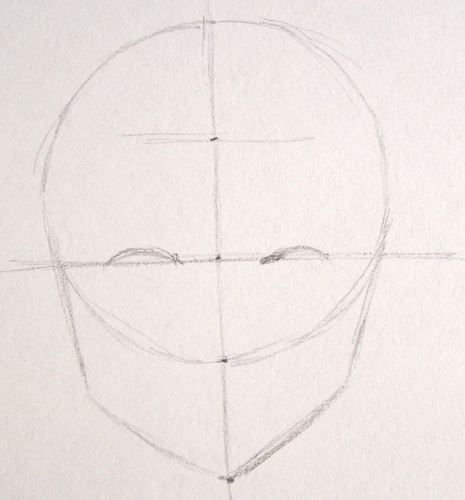 We begin drawing the eyes. 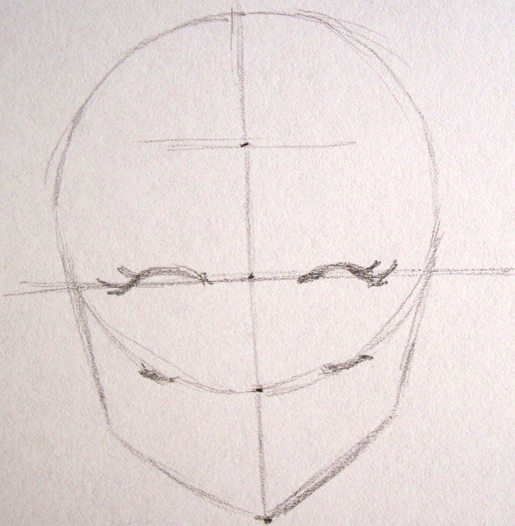 In Manga pictures, you rarely close the shape of the eyes. We mark them as two curves. The upper portion of the eye is bigger than the lower part, which we will place on the third mark, at the end of the circle. We begin defining her eyelashes. This will be the head of a young girl.